Do you manage a natural area? Do you need to know more about how to identify and manage invasive species? Take this workshop and receive pesticide applicator credits as well. Who should take this class: Natural areas managers, parks staff, landscapers and other professionals who want to improve their skills and capabilities for protecting preserved areas. Dr. Linda Rohleder is Director of Land Stewardship at the New York – New Jersey Trail Conference. She built the Trail Conference’s Invasives Strike Force volunteer program over the last 6 years. 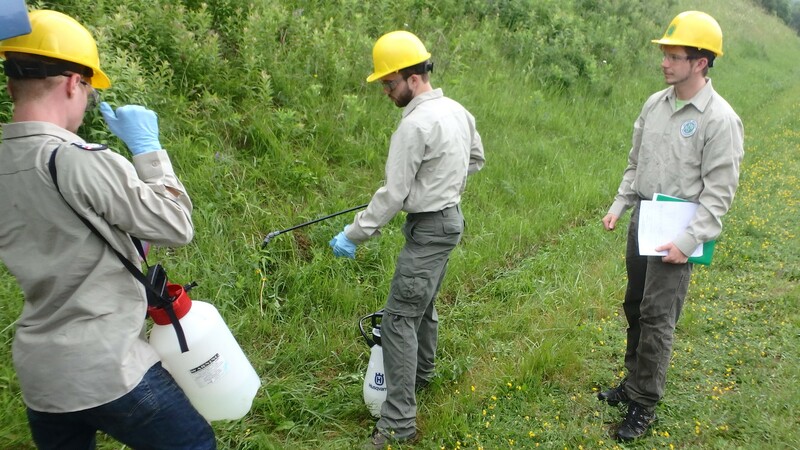 The program currently has trained over 400 invasives-mapping volunteers who have collectively surveyed more than 1,000 miles of hiking trails for invasive plants. She has organized dozens of invasives-removal workdays and runs a seasonal conservation corps crew that removes invasive plants in parks across southern New York and northern New Jersey. Dr. Rohleder is also the coordinator of the New York State Partnership for Regional Invasive Species Management (PRISM) in the Lower Hudson Valley, a partnership of more than 40 organizations and agencies, which plans and conducts a regional strategy for invasive species management in the Lower Hudson. In 2013, Dr. Rohleder received her PhD in Ecology from Rutgers University, where she studied the effects of deer on forest understories. While attending graduate school she worked as a park ranger in Monmouth County, NJ, and taught beginning Biology labs at Rutgers and Wetland Plant ID for Rutgers’ Wetland Delineation certification series. Dr. Rohleder also has spent more than 10 years creating a native plant wildlife habitat in her backyard.